Insects are not stupid. If they were, species such as bees and ants would not be able to orient themselves precisely, learn, make decisions or organize such complex societies. That is why their tiny but efficient brains have attracted the attention of researchers interested in robotics, who see in them a perfect model for developing new machines and algorithms. This is the case of the ‘Brains on Board’ project, associated with the Human Brain Project. The project has already successfully tested robots inspired by ants and bees and plans to do the same with other insects. But how can we translate something as complex as a brain, however small, into algorithms that move a machine? “The bridge between the biological and the artificial is mathematics,” Paul Graham, a researcher at the University of Sussex (UK) and a member of the ‘Brains on Board’ team, has explained to Sinc. The attractiveness of this type of brain lies in its efficiency. “The interesting thing about the brain of bees is that despite being small, with a million neurons, it enables flexible and robust behaviours,” says Graham. “Their performance is far above that of today's artificial systems, so we think they are a good inspiration for biomimetics”. The million neurons of bees may seem irrelevant compared to the billions that human brains have, but they allow these insects to orient themselves for miles in a three-dimensional space and return to their hive. They can also optimize their routes, perform multitasking and quickly adapt to new scenarios and learn from them. To develop such robots, computational biologists and neuroscientists have to create models that capture the essential details of the living organism. Our understanding of how brain and behaviour relate is “much more advanced” in insects than in mammals, but that does not mean the ‘translation’ is simple. “The key is to simplify with an adequate level of detail that maintains the fundamental components of the original,” claims Graham. “For example, we can use general models of neurons or that represent groups of these cells, rather than dealing with the morphology and complexity of each individual neuron”. The results of this “simplification” are algorithms, although digestible by a machine. Bees can learn and navigate complex terrain while analysing the distribution of their resources and making optimal decisions about where and when to look for food. A bee robot should be no less than that. “We're looking for simple robots that can work in environments where GPS does not work,” explains Graham. The project’s intention is to create small machines, with simple sensors that do not require much computing effort, so that they can operate “for hours” without the battery being a problem. As efficient and flexible “as a bee looking for food”. The researcher lists the situations in which such a machine would be useful. For example, in search and rescue tasks in a catastrophic area, space exploration or monitoring in mines and agricultural fields. “The differences [in brains] depend on the ecological needs of the insect. Organs and algorithms would be similar, but tuned for different behaviours”, says the neuroethologist. 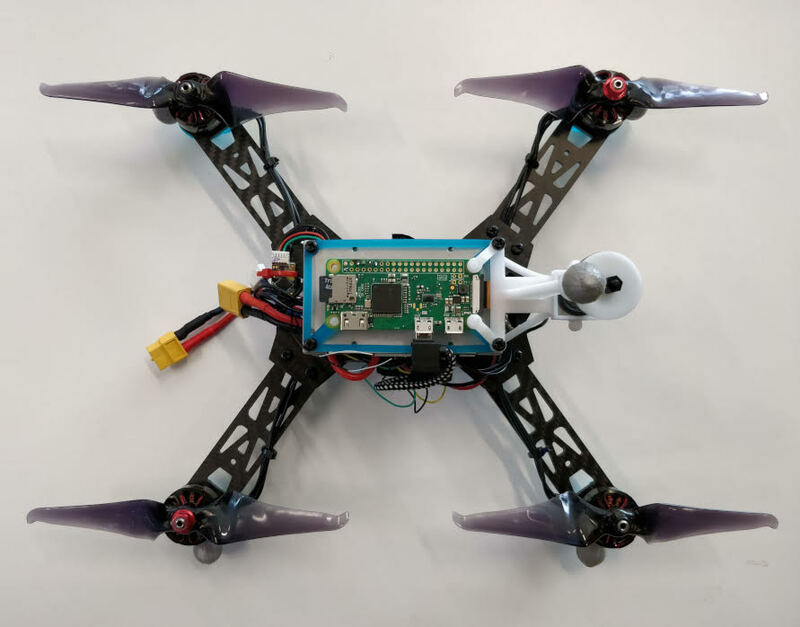 Graham gives as an example the case of dragonflies, which could result in robots capable of carrying out “extremely precise” aerial manoeuvres. In fact, he says ‘Brains on Board’ plans to collaborate with other groups in Australia to model the brains of other insects. This type of work also represents a reciprocal exchange between areas. According to Graham and colleagues, the combined study of brains and algorithms “not only benefits robotics, but also biology. In this sense, mathematics can help to better understand how an organism works”. SINC agency of FECYT (Spanish Foundation for Science and Technology) writes scientific news for the European project SCOPE, that is coordinated by FECYT in partnership with ESF and EPFL and funded by the European Union through Horizon 2020. The SCOPE mission is to communicate visionary research results of Partnering Projects and Associated Members in the framework of the Graphene Flagship and the Human Brain Project, as well as to enhance the FET Flagships partnering environment in the European Union.